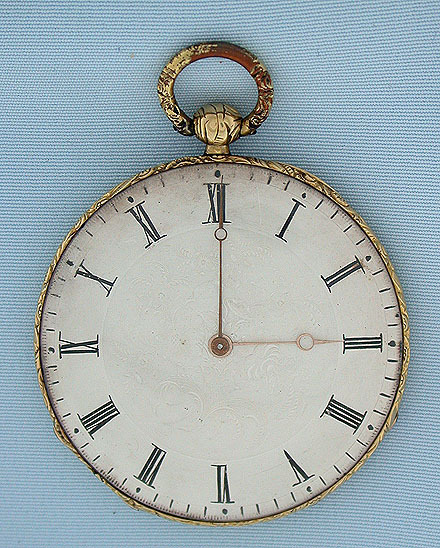 Fine, beautiful and rare Swiss ultra flat male keywind Bagnolet calibre antique pocket watch with enamel portrait circa 1830. 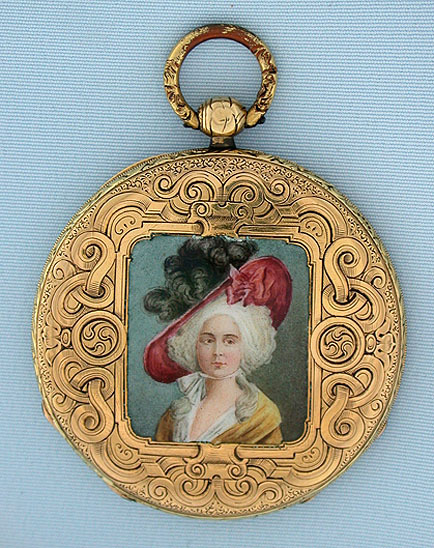 The engraved case back with a beautifully painted portrait of a lovely woman wearing an extravagant hat. 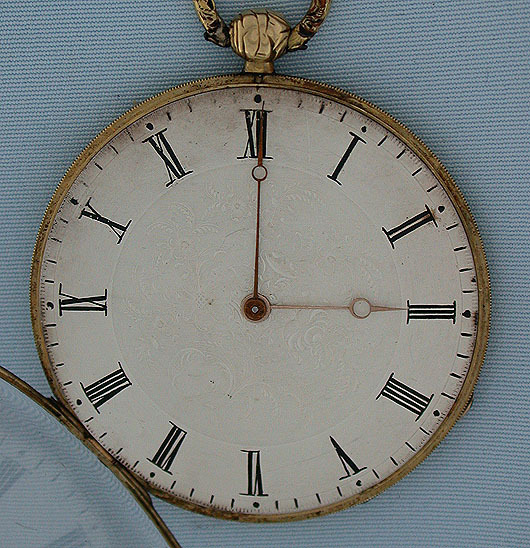 Engraved (hard to see in the photo) silver dial with gold Breguet hands. Ultra flat (particularly this early) fully engraved 4 jewel cylinder movement which winds and sets with a male key to reduce thickness. 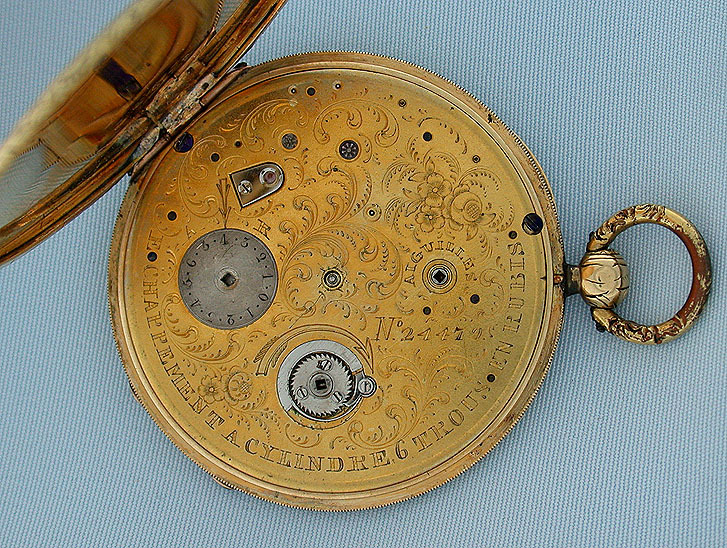 A wonderful watch in particularly fine condition.